A new report by Photobucket, one of the most popular photo and video sharing services on the Internet, indicates that nearly half of the 2,500 respondents it surveyed are using a mobile device to capture video at least once a week, spurring a impressive rise in total video uploads over the past year. The company puts the improved quality of photos and videos from smartphones, all-you-can-eat mobile data and application availability down to the rise, indicating that nearly one in every ten mobile users surveyed uses their mobile device to record video more than once each day. Total video uploads, including web and mobile, were up 3.5 times year-on-year, with total video uploads from mobile devices rising more than 14 times the number recorded in December 2010. Photobucket also found that users sharing photos have become increasingly confused as to where they should upload or share their images. The company found that 41% of respondents had images on three or more sites, with 15% storing photos on five or more services. 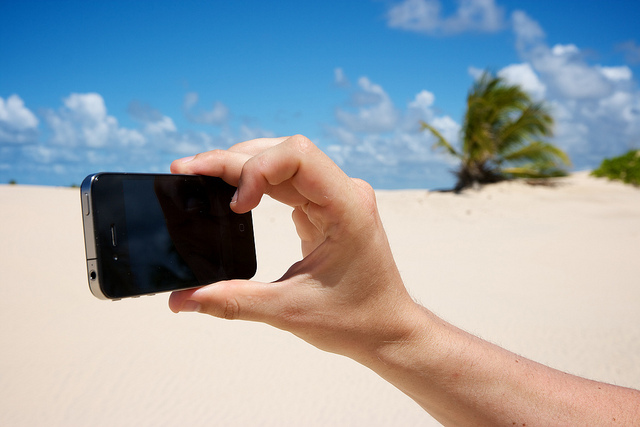 Digital camera usage saw a slight decrease (6%) from the Holiday period in 2010, as uploads from mobile devices rose 58%, up from 27% from last year’s holiday survey. Photobucket reports nearly 18 million monthly unique visitors via its mobile website and apps, recording 25 million uploads per month (5x last year). Read next: Tagging Facebook photos without permission in the UAE? Think twice.